The community of Clyde River received a PEI Heritage Award for The History and Stories of Clyde River at the annual awards ceremony held yesterday at Eptek Centre in Summerside which kicked off PEI Heritage Week. 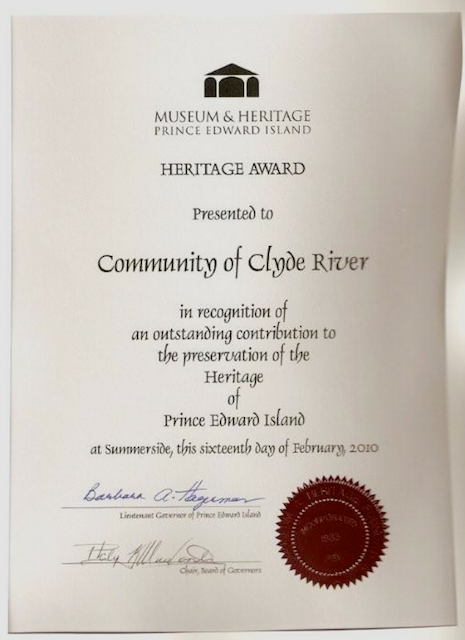 The Clyde River History Committee was in attendance to accept the award from Museum and Heritage Prince Edward Island. “Never forget those you come from.” This advice in both Gaelic and English is featured on the sign for the Clyde River Pioneer Cemetery, the cover of The History and Stories of Clyde River and again in this dedication. It is the spirit that infuses this classic community history. A blend of memories, stories, “hard” history and genealogy, our history ranges from the earliest days of settlement to modern times, all the while celebrating those who built and continue to build the community. In recognition for their work in creating this community history, we, the Heritage Awards Committee on behalf of the Board of Directors, are pleased to present a Heritage Activity Award to the Clyde River History Committee. Congratulations on a job well done – well deserved..
Congratulations on a well deserved award. You are a credit to our community. 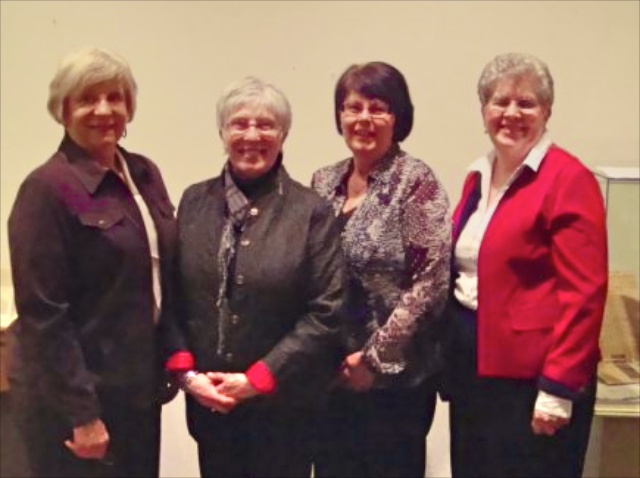 Congratulations on being recognized for the wonderful work your committee has done in producing this history. It is so great to have both the historical events and the local stories documented in such an entertaining and informative book! Bravo!! Thank you Doreen. Your support is valued by all of us.